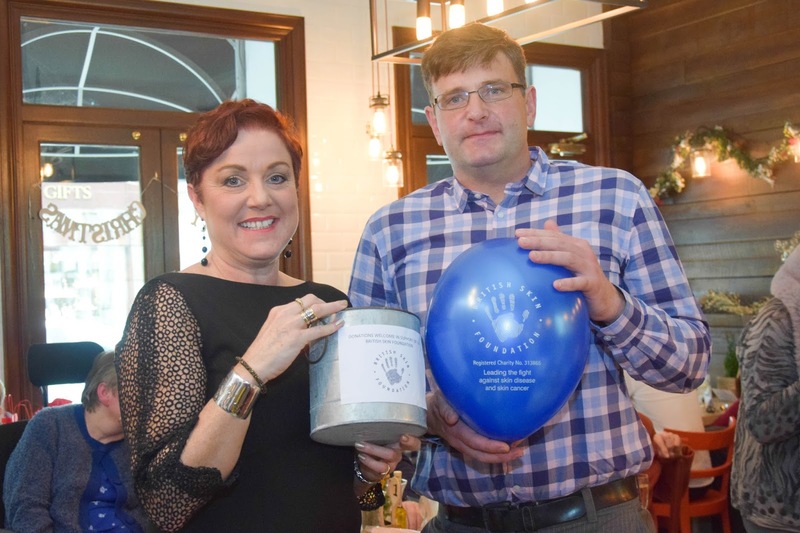 Sara Tye, a guru of business development and entrepreneur, was proud to celebrate two massive milestones this at the end of 2017 and raise £100 for the British Skin Foundation charity. As the founding and managing director of redheadPR, 2018 marks the company's 15th year in business, as it continues to go from strength to strength. Sara also celebrated her 50th birthday on the 10 of December. She chose to celebrate both of these milestones by spending time with her friends and family, and reflecting on all she has to be thankful for when it comes to her success in business and in life. Sara Tye is one of the leading businesswomen in the UK, standing amongst the top 500 experts in public relations and business development. Across her ever-growing enterprises, she's seen the unstoppable growth of her own business, become the chair of Swindon Triathlon club, and developed an impressive multi-million-pound property portfolio. Celebrations for Sara's recent double milestone took place at Marco Pierre White's Bardolino restaurant in Swindon, and brunch at the exquisite restaurant was certainly a fitting way to celebrate a spectacular 50 years for the businesswoman. 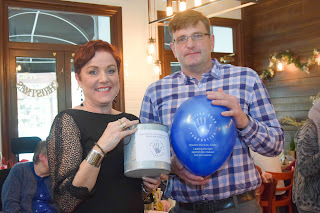 Sara took the opportunity at this double celebration to raise awareness of skin disease, asking guests at her birthday to donate to the British Skin Foundation - a charity very close to her heart. Over 60% of people in Britain are suffering or have suffered from a skin condition. Sara Tye has chosen to bring attention to this charity with the same passion with which she approaches everything in life, and managed to raise £100 at the brunch. Sara said "It's important to celebrate these milestones. As my 50th birthday coincided with redheadPR turning 15 years old, I thought it appropriate to celebrate. It's been a tough few years, from fighting to keep my business going through the recession, to moving back to Swindon after over 20 years in London. It's important to reflect. To look back as well as forward, and be thankful for what you have. To me, that is my family, friends and business." Acting as a mentor to countless start-up companies across the UK and internationally through redheadPR, Sara has helped businesses increase their revenues, reduce overheads and use better working practices – to this end becoming more profitable. The 15th birthday of redheadPR was an opportunity for Sara's hardworking team to celebrate their successes past and present. They've been providing online strategies and business development techniques to deliver spectacular results for quite a while now, and looking at their trajectory, it's no question that this success will continue long into the future. As the chair of Swindon Triathlon Club, I'm immensely pleased and proud to say that we've achieved the TriMark Club Bronze award. Not only that, but we're the first club in the South West of England to do so! I’ve been involved in quality and best practice since I started my career. Thames Water was a quality management business and being one makes a difference. My business, redheadPR is also a best practice business achieving 93% in the consultancy management standard. Quality means: no waste, good practice, smart working, quality output and continuous refinement and improvement. 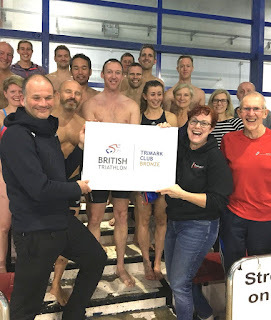 That’s why it’s important for a great and growing club, like Swindon Triathlon Club, to be run along best practice lines, and to be recognised for it too. 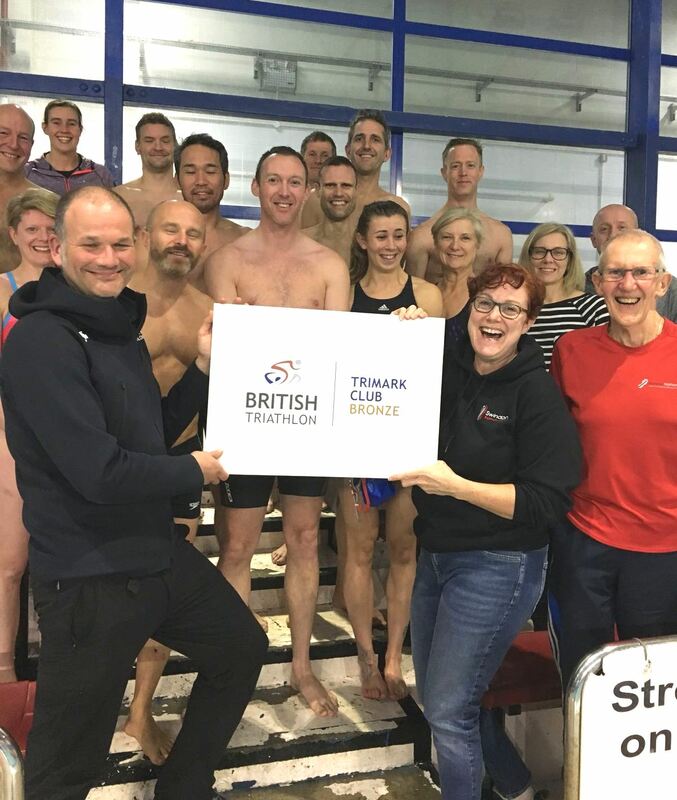 The TriMark award is part of an accreditation scheme designed to help triathlon clubs offer a consistent and safe environment for triathletes. The aims are to increase the standard of triathlon coaching and regulation across England and attract more people to the sport. It was developed by Triathlon England in conjunction with Sport England. The scheme has been running since April 2017 and is aimed at all community clubs promoting and running triathlons. To join the scheme we had to have an established committee, a recognised constitution and offer membership to all. We also had to show that we could offer a high level of regular activities, run by qualified coaches. Clubs who've gained this level of organisation can prove they offer a safe and rewarding place where people from all walks of life can be involved in triathlons. People can try out the sport, the different disciplines and take part as much or as little as they like. Gaining the TriMark Club Bronze Accreditation is a fantastic achievement for Swindon Triathlon Club and shows how well the club is run. We've got a great team of volunteers on the committee, putting a massive amount of effort into supporting over 100 members. We're involved in all forms of triathlon, from sprints to long-distance ironman events and have a wide variety of members from all ages and walks of life. Swindon is a great place for triathletes, with fantastic running and cycling routes along with excellent lake venues. Club members range from novices to international ironman competitors and we have a wide range of membership options to make it easy for anyone to join. At the moment the membership split is nearly 50:50 between male and female. Swindon is also a great place to do best practice business. Win Win. If you want to try out this exhilarating sport, find out more about Swindon Triathlon Club at www.swindontriathlonclub.co.uk and come along.